FC Schalke 04 fans both USA and Germany-based enjoyed a rather special Royal-Blue weekend as part of the club's tour of Florida. Around 100 of the Gelsenkirchen side's North American members joined the players in watching Orlando Magic’s NBA game on Saturday night, before rounding off the weekend by taking in Die Knappen's 2-0 win over Fort Lauderdale Strikers courtesy of goals from Franco Di Santo and Leroy Sane. 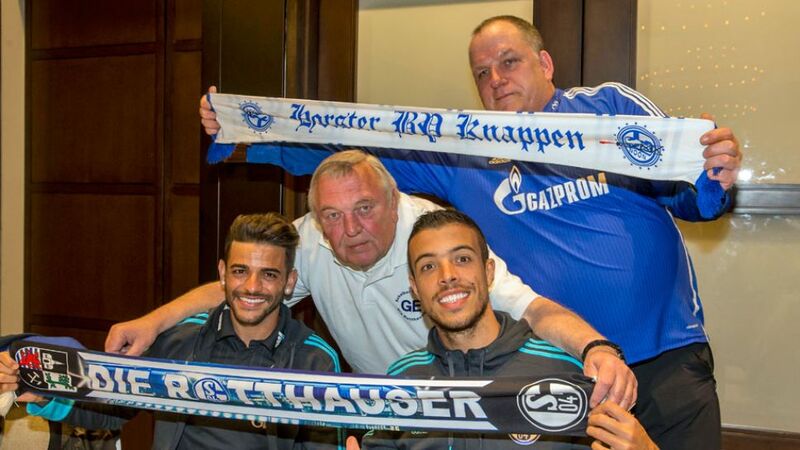 "The fans' support is just great," said Schalke left-back Sead Kolasinac. "It really is unique." The Bosnia and Herzegovina international was one of many star-names in high demand as fans mingled with players – with plenty of time for selfies, autographs and one-to-one discussions about shared hobbies and interests. Before returning to their own hotel, the fans joined the players in singing happy birthday to Sane, who turned 20 on Monday.